In some ways, there is a bit of truth to the sentiment. The image sensors built into our phones are just as powerful as the most affordable digital cameras on the market. That being said, experienced photographers know that there is no replacement for a high quality digital camera. With the right combination of image sensors, processors, and lenses, a digital camera can produce an image that is well beyond the capabilities of any integrated camera on the market. While many consumers choose drop some serious dollars on a high end DSLR camera, there are still many capable point and shoot cameras available. Canon’s G-series cameras are known as the king of point and shoots. With their own SLR-grade image processor, high quality glass, and low-noise image sensor, they often blur the line between professional grade and consumer grade. The G9 X Mark II is the latest addition to the G series, so we decided to go hands-on to see how it stacks up against the competition. The Canon PowerShot G9 X Mark II is, visually speaking, very similar to the previous generation. It’s solidly made, with build quality that in unparalleled in its class. From a technical standpoint, the Mark II is only a modest upgrade over the original G9 X. However, this camera was considered the best point and shoot that money can buy, so this upgrade was essential to help it keep its place at the top. After all this time reviewing DSLRs and mirrorless cameras, it’s easy to forget how nice it is to have a camera that you can slip into your pocket. Measuring 3.9 x 2.3 x 1.2 inches in size, this camera is deceivingly compact. Canon’s eye for compactness didn’t stop them from using high quality materials, however, as virtually every component your hands can touch is made from metal. The body is the camera is wrapped with a faux-leather textured grip that makes it easy to hold in the hand. Although the body has a very sharp, squared off look to it, the top edge is slightly angled. The main reason for this is to make it easy to access the large metal control wheel. Just like the ones found on SLR cameras, this allows you to quickly flip through a variety of settings. Also included on this edge is a toggle switch for the flash, a review button, and the power button. On the far-left side of the camera, you’ll notice a small cutout. This is actually the flash. Just a quick flip of the switch pops the flash out of its housing, arming it for duty. The flash actually extends a fair bit out of the camera body. Coupled with a wide dispersion lens, this allows it to illuminate your environment both up close, and from a distance. One of the main changes we’ve noticed in this line overtime is the reduction of buttons. Most of the advanced controls have been moved onto the large touchscreen, which occupies the majority of the rear of the camera. Overall, this makes for a sleek and professional appearance. There are two color schemes available. Our personal favorite is the silver and brown. This look replicates vintage cameras, but has a strikingly modern twist to it. For a more modern appearance, a matte black version is available. Although the camera is the same size as most common point and shoot cameras, the image quality is a step above. 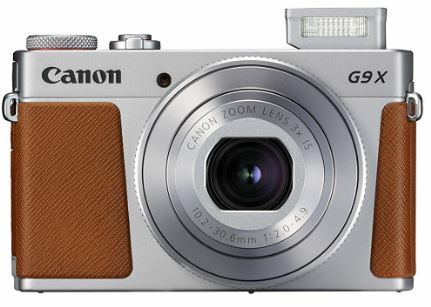 The G9 X Mark II has a 20.1 megapixel sensor. Standard prints only require about 8 megapixels, so this sensor will allow you to print up to 8 x 10 inch photos without any degradation. But even if you’re not planning to print large images, there is still some value from a high-resolution sensor like that. You can take your photos at a wide-angle setting, and crop them in post processing without losing much detail. When combined with the 1” image sensor (the largest size that can be found in this form factor) the end result is an image that is extremely crisp and clear. Details are sharp and well defined, and there is very little noise or distortion. In ideal light conditions, these images look as good as many entry level SLR cameras. In bright daylight, it doesn’t take much to get a great looking image. But when the sun goes down, getting a decent image can be a challenge. The main problem is that image sensors need a certain amount of light to get a clear image. There are two ways around this. The most common trick is to keep the shutter open for a longer period of time, but if the shutter speed is too slow your image will come out blurred. Alternately, you can increase the sensitivity of the sensor, but this can add digital noise and grain to the image. The G9 X Mark II attacks this problem from two angles. The first is the image stabilization technology. The sensor physically moves around on a motorized platform. This can create extremely quick and fine movements, counteracting any motions your hands incidentally make. Additionally, the image sensor is capable of operating in a boost mode, briefly bumping up the sensitivity of the sensor without an increase in digital noise. The end result is photos that are clear, even in challenging condition. Although it’s not quite on the same level as a high end DSLR camera, it’s still much better than anything in it’s class. 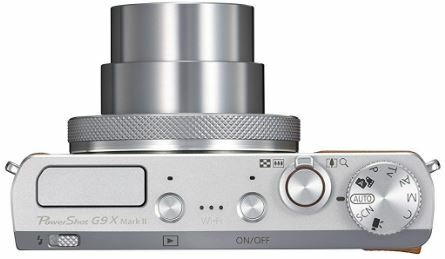 The G9X Mark II features the latest DIGIC 7 image processor. This allows a significant boost in performance above older models. For standard shooting, you’re able to shoot images at 8.1 frames per second for 21 frames in a row before it will need to take a break to write the images. You can shoot high quality video at 1080p, and store it all on any SD card up to 128gb in size. The camera has both NFC and WiFi built right in, so you don’t have to worry about storage space. The images can be saved directly to your laptop or mobile phone, making it easy to share your best shots with friends and family. The DIGIC 7 image processor also boasts improvements in autofocus in low light, one of the areas the previous model disappointed. It also boost the number of scene modes from 6 to 8. With the Mark II, you can select between Portrait, Panning, Star Portrait, Star Nightscape, Star Trails, Star Time Lapse Movie, Handheld Night Scene, and Fireworks. You also get the same collection of exposure modes including Scene, Auto, Hybrid Auto, Program, Shutter Priority, Aperture Priority, Manual, and Custom. 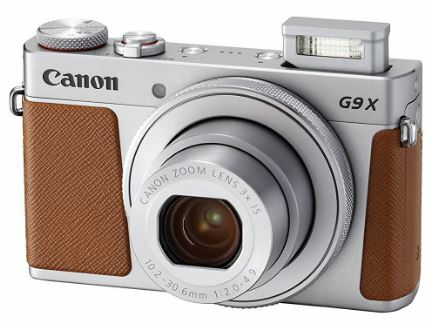 In almost every regard, the G9X is cutting edge. But there is one area where it’s falling behind, and that’s in the video department. There are already many cameras available that can shoot 4K video, but this camera is restricted to 1080p. This is hopefully something that will be included in the next revision. Overall, the Canon PowerShot G9 X Mark II is a fantastic point and shoot that is suitable for both Amateurs and Professionals alike. What we liked most about it was its compact size. This is something that you can keep on hand at all times, so you’ll never miss a shot. 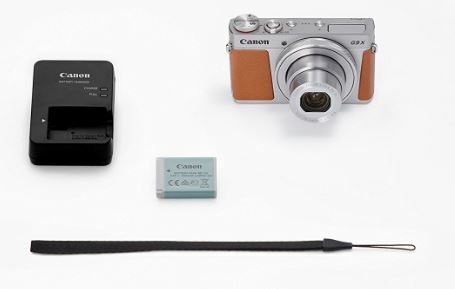 With its highly adaptable settings, excellent image sensor, and durable case, we’d recommend this camera primarily to beginner photographers who are looking to expand their skills into manual shooting, and don’t want a camera that will hold them back. It would also be suitable for professionals as a backup camera, so you’ll never miss a shot when you’re out and about. But this camera isn’t going to be for everyone. If you’ve got a little extra cash to spare, it might be worth considering an upgrade to the Fujifilm X-A3. 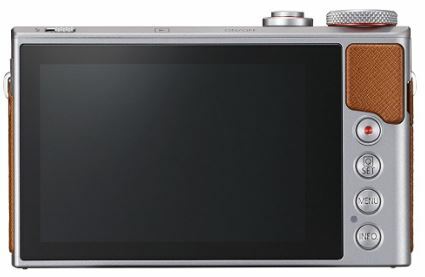 This is a mirrorless camera, featuring a detachable lens. The body may be a little larger, but the hardware is more advanced than anything you can find in a compact case, allowing the camera to be used in a wider array of settings. If you’re just looking for something quick and easy to capture a few family shots, consider the Canon PowerShot SX620. The camera doesn’t perform quite as well in challenging conditions, but casual users likely won’t notice much of a difference.